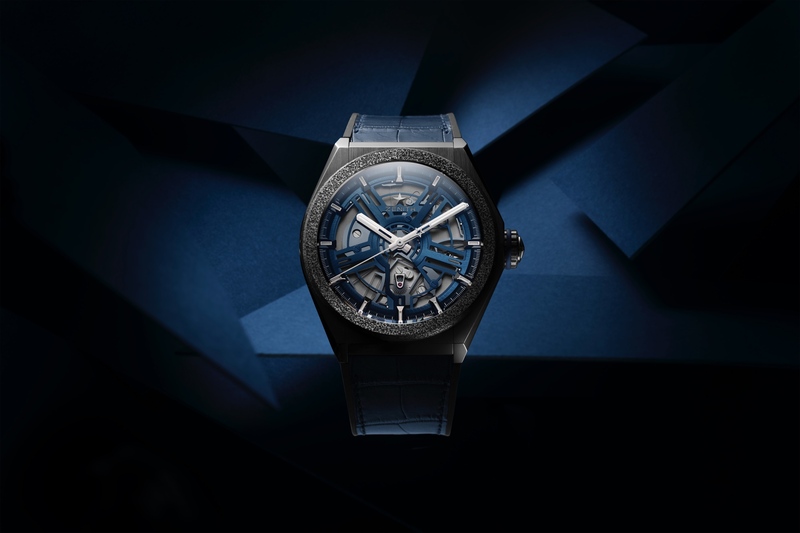 In their tenth clock collaboration together, last month at SIHH 2019, MB&F and L’Epée 1839 introduced the Medusa Clock. Inspired by the look of a jellyfish, L’Epée created the bell-shaped body using hand-blown Murano glass. 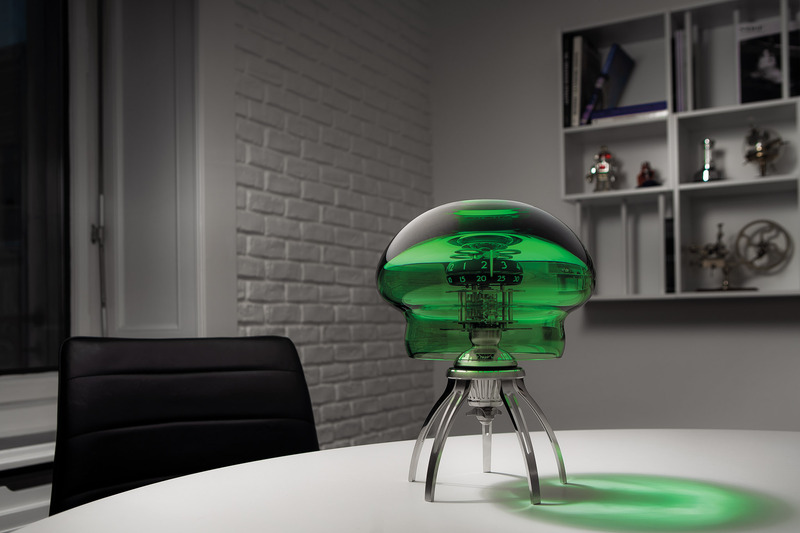 Similar to the glow of a jellyfish, the two rotating numeral rings, which display hours and minutes, have a luminescent material that glows green. Driving the time is a 2.5Hz (18,000 vph) 155 component, 23 jewels, manually wound clock movement with a 7-day power reserve that acts as the heart of this mechanical creature, so to speak. 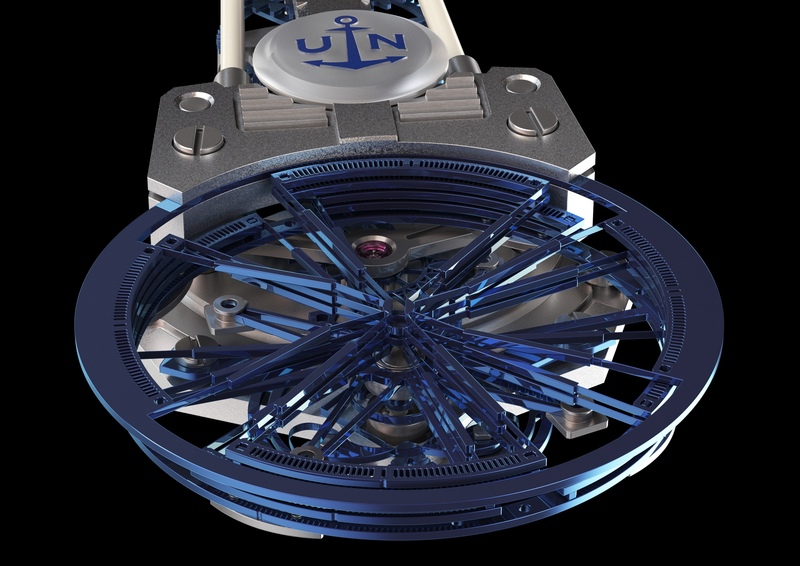 There is an integrated winding key to both set the time and wind the movement (propeller at the bottom of the movement). You can either stand Medusa up on your desk or suspend it from the ceiling, floating in mid-air like a jellyfish looks underwater. There are 231 total components and the weight is approximately 13.2 pounds. The clock measures 323 mm tall x 250 mm diameter in the standing position and 286 mm tall x 250 mm diameter in the hanging position. 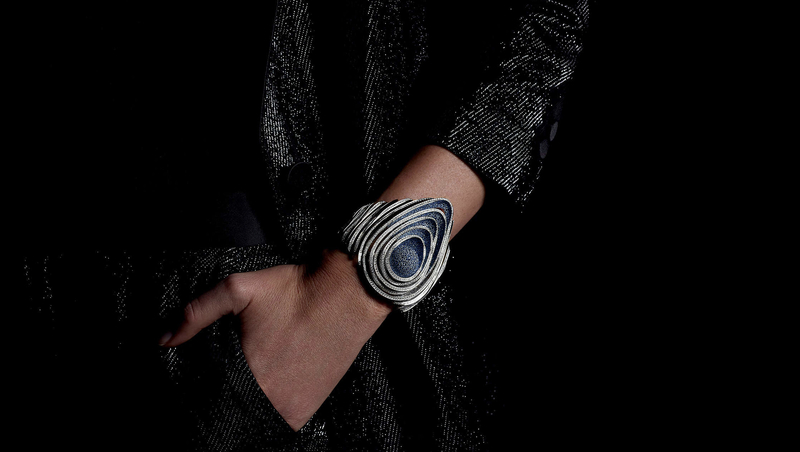 Medusa comes in three limited editions of 50 pieces each in blue, green and pink. Retail is CHF 25,500. Learn more at MB&F.